If you have been noticing a sort of burning sensation in your feet, you should know that you may be in need of professional burning feet syndrome treatment in Edmonds. Mill Creek Foot and Ankle Clinic is always available to address any of your concerns and go over some of the ways that you can not only treat this condition, but also help to prevent it from happening in the future. It is not going to be all that uncommon for someone to have aching or burning feet after they are wrapping up a long day. If you have been on your feet for quite some time, the burning can be a normal sensation. However, if you start to notice that this is something that seems to be a common occurrence, it is going to be best to have a professional evaluation. Having a persistent burning sensation in your feet could mean that you have some sort of a serious health condition that is looming. When you schedule an appointment with our team of professionals, we will be happy to go over your medical history, offer an examination and then make sure that the right treatment is sought out. In the time being, be sure that you are wearing shoes that fit properly to give your feet ample support, bathe your feet and keep them from getting overheated and try not to stand for long periods of time. Mill Creek Foot and Ankle Clinic can offer home remedies and burning feet syndrome treatment in Edmonds. Call (425)482-6663 for advice or make an appointment. 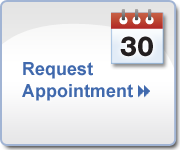 We look forward to seeing you so that we can help you out with getting the relief that you are looking for.